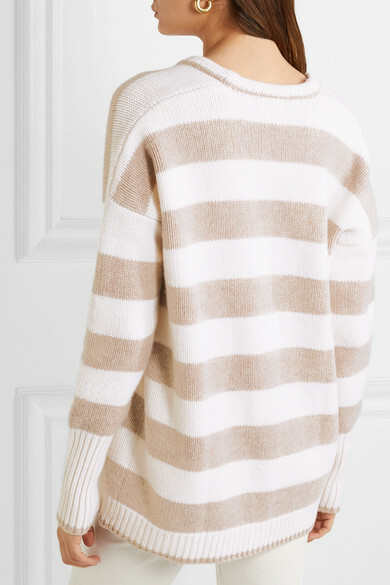 La Ligne is the brainchild of two former American Vogue editors, Meredith Melling and Valerie Boster, and rag & bone's former Head of Business Development Molly Howard - it all started with a shared love of stripes. 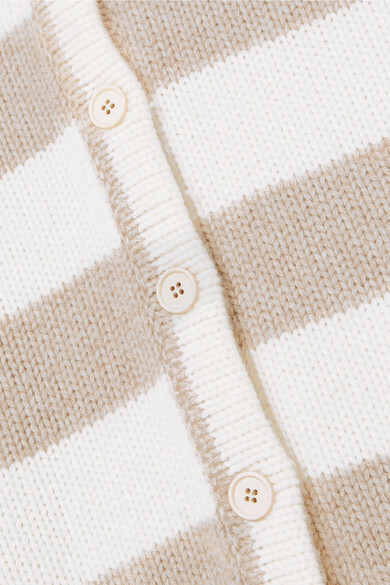 This 'Martha' cardigan is knitted from a super soft and cozy mix of wool and cashmere. It has a low V-neck that would look beautiful with a lacey camisole peeking out from underneath. Shown here with: CASASOLA Jeans, BY FAR Shoulder Bag, BY FAR Sandals, Leigh Miller Earrings.